The tournament is one of the most sought after poker tournaments and the reason is because the only way you can enter this tournament is by being one of 64 players that are invited. 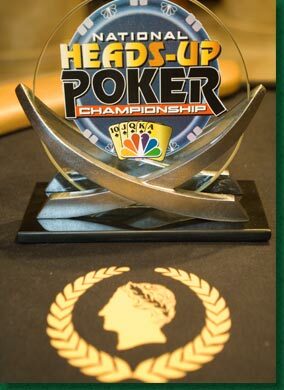 So you may be wondering which tournament only allows 64 players to play in and the only way you can play in the tournament is if you get an invite, well that is the NBC Heads-Up Championship poker tournament. The tournament is scheduled to take place from March 5-8 at the wonderful Caesars Palace of Las Vegas. Are you wondering who exactly has been invited to take place in this invitational Heads-Up Championship poker tournament? Well, lets start by telling you that all four of the past winners of the invitational will be present and the winners of the Player of the Year for both WSOP and WPT. There will be some players however that are going to be participating in the tournament that were not actually invited but instead they won a seat through qualifiers that took place on Full Tilt Poker or at Caesars Palace in Las Vegas, NV. Below is a complete list of players that were invited and will be playing in the NBC Heads-Up Championship. However players still do have the option to back out of playing in the tournament and then a substitute will be put in place. *WPT is a trademark of WPT Enterprises, Inc.
*Heads Up Poker Championship® is a trademark of NBC Universal, Inc.